Living in the shadow of other bands can sometimes be a really successful, but not always welcome, comparison for the group looking to break out. Today’s band was always ‘the next big thing’–referred to as the “next Jane’s Addiction,” then the “next Nirvana,” then the “next Pearl Jam.” While somewhat flattering to be compared with those great groups, all this band wanted to do was step out of that limelight and become their own household name. After a breakup of a gothic rock band based out of St Petersburg, Florida, Billy Corgan decided to return to his native city of Chicago, Illinois. Billy took a job at a record store and had the idea to form a new band called The Smashing Pumpkins. He would meet his guitarist in the store, the bassist by arguing with her about a band, and the drummer came recommended by a friend. While they initially began playing very sad rock music, the drummer came from a jazz background and they all began to realize the potential of them turning that fast-paced ability into a better overall rock feel. In 1989 they drove up to Madison, Wisconsin and sat with one of the greatest producers of all time, Butch Vig at the Smart Studio. Twenty-thousand dollars later, their first album was released. The Pumpkins were on their way. The follow-up to that first record was Siamese Dream, released in July of 1993. With solid critical acclaim coming from their debut, the band felt major pressure to come up with a sophomore effort that was even more well-received. With that pressure came drug use, tensions and depression. But, despite of all the downsides, during the four month recording process, the album came out swinging. 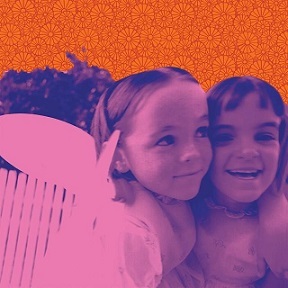 Debuting at #10 on the charts and selling over 6 million worldwide, Siamese Dream was a smash hit. The music world was ready to crown the band as one of the most important acts in alt rock history. With the band emotionally and physically exhausted from creating an album that was so layered and intense, they wanted to lay low for a bit to gather themselves. They would eventually go on to tour for the album, and follow the album up with an even greater selling record. Simply put, this album is outstanding. The first three efforts from the Pumpkins are all top notch listens. The sound on this album is second to none, which the production values being so unique to alt rock at that time, you almost don’t want to call it that. It may be a subtle detail to some, but when you kick back and focus on what’s coming out of your headphones, you can see why it took months to create. I have no problem calling this one of the top albums of the ‘90s, definitely in the top 100. Considering the band had decided to breakup if Siamese Dream wasn’t a huge success and Corgan contemplated ending his life, it’s amazing the pressure not only didn’t derail the record, but caused everyone to work that much harder in creating a masterpiece. This album is so worth your $5 bucks you won’t believe it. With all the cyber-week shopping going on, spending thousands on 4K televisions, set an Honest Abe aside for this—you won’t be disappointed. Editor’s note: not all the lyrics on the album are what some would consider child friendly, so be warned :-).